Two Sunday morning worship services: both of them attempts to be faithful to the historic liturgy of the church, with one (at 8:30 a.m.) using classical music and the other (at 10:45 a.m.) using more contemporary forms of music. A strong focus on five habits of discipleship: daily prayer & Bible study, weekly worship, monthly community service, financial generosity, and meeting for faith formation with a faith partner or a small group. A commitment to being a community where young people are valued, honored and fully involved in the life of the congregation. Saint Peter Lutheran Church has been served by Pastors Hal Elvert (1979-1984), Karen Parker (1984-1997) and Dave Risendal (1998 to present). 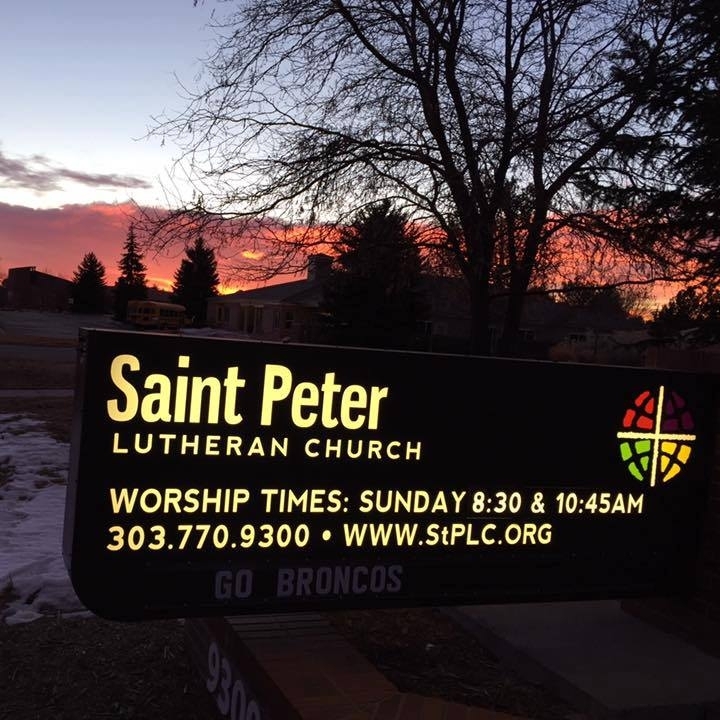 More information about Saint Peter Lutheran Church can be found on its web site: www.StPLC.org.